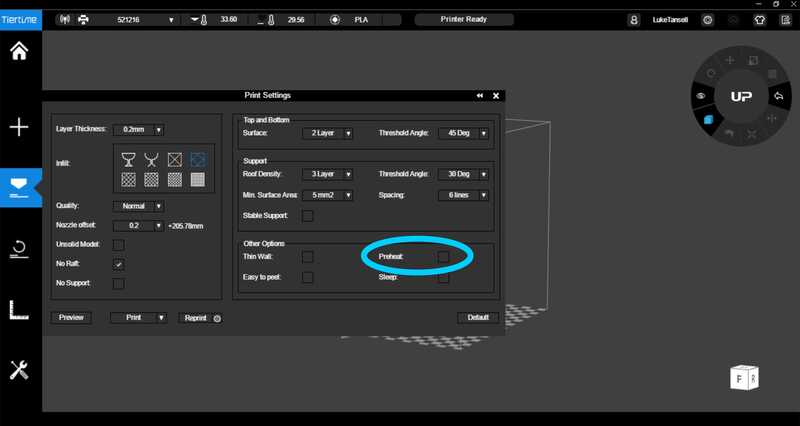 If you have 'Preheat' checked, it means the printer won't begin until the print bed heats up fully (usually about 65 degrees). 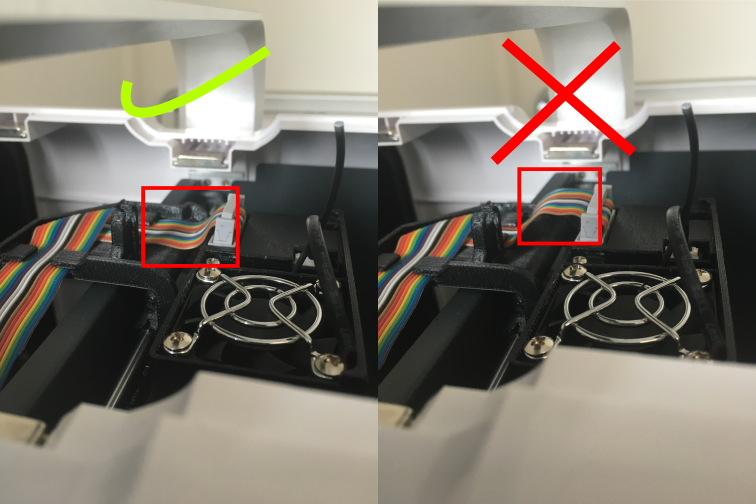 If the rainbow cable isn't sitting correctly, it can catch on the edge of the printer and pull itself out slightly. The third possible cause is if the heater block on the printer is damaged. 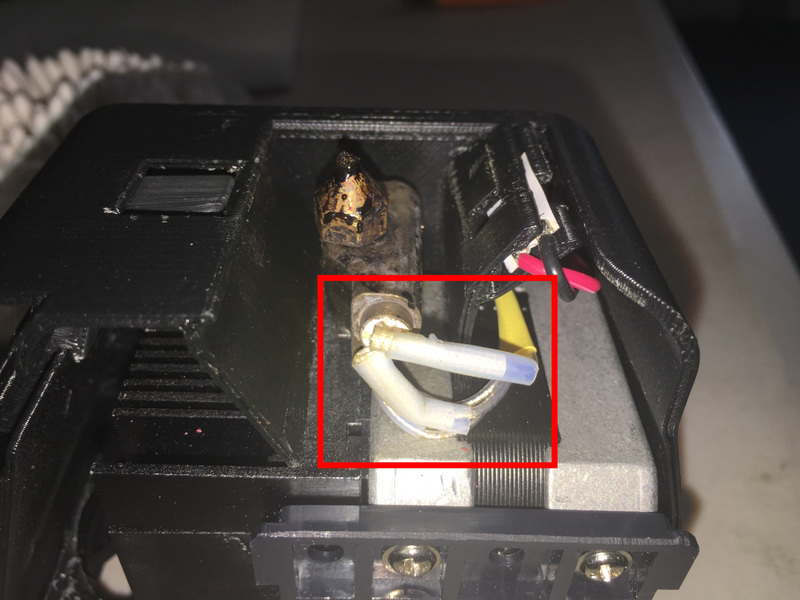 Remove the head of the printer, and gently check that the four wires going to the heater block are still connected. Unfortunately, because these wires regularly heat up, then cool down they are prone to fatigue and damage. If any wire is not connected, contact us to to order a new one.